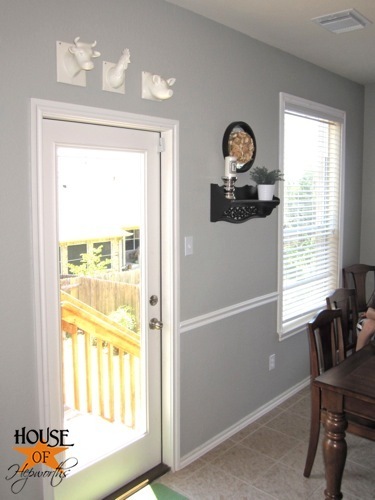 While living in our previous house I fell in love with these quirky ceramic animal heads, spray painted them white, and hung them in the kitchen. They are weird and fun, and I liked them because they were unique. After moving into our new house they sat there for over a year. I just couldn’t part with them, but there is not enough wall space in our new kitchen to display them anywhere. Unfortunately, they just didn’t work in the new house. Boo. 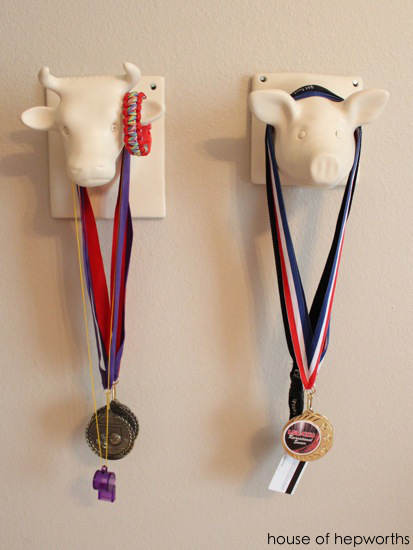 This sparked the cutest idea ever – ceramic animal heads to hold sports medals and necklaces! 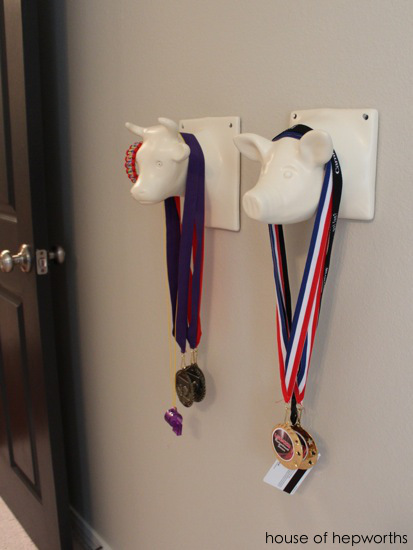 Travis got the pig and cow for all his medals. 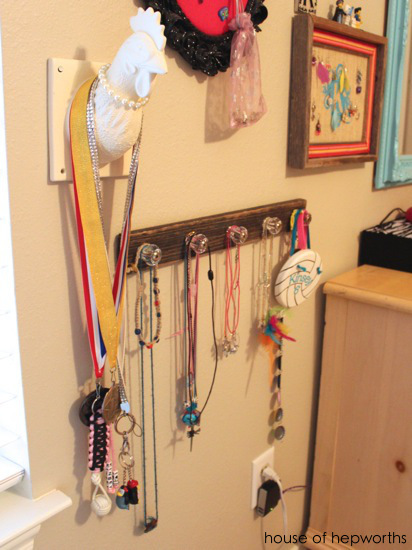 It solved two problems with one stone – we got to keep the adorable animal heads and he now finally has somewhere unique to store all those medals (and a random lanyard and room key card from his Carnival cruise he went on). 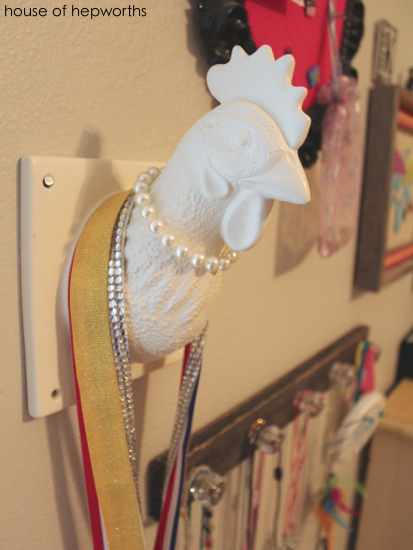 Kinsey inherited the chicken head, which now proudly displays her medals, leftover cruise key card, and long necklaces. 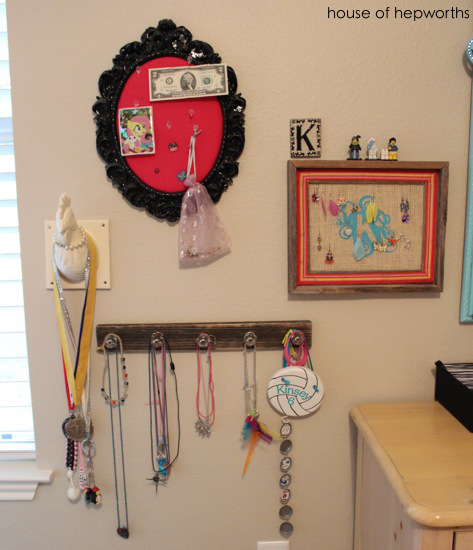 We added the chicken to her “jewelry wall” which also houses the earrings frame I made for her a few years ago. I love that she added a pearl bracelet around the chicken’s neck. Between that and the blingy lanyard this chicken is pretty stylish. I think I smile more now at these animal heads than I ever did when they were just hanging out in the kitchen. 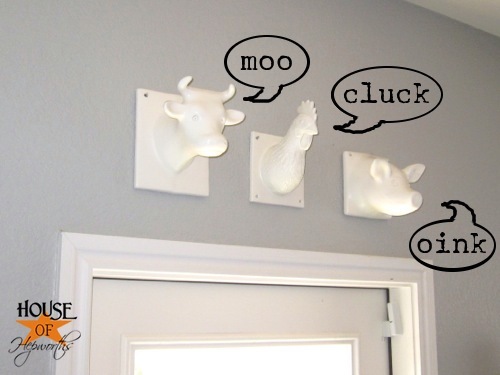 They are a fun decor accessory but also have a purpose, which I think is the best kind of decor! *Also, don’t forget to quickly enter the giveaway for a free copy of Dave Ramsey’s The Total Money Makeover! I love that you found a place for them in your house! They’re so fun & it’s even better now that they’re functional. Phew! I love those. ; ) Would have been a shame to get rid of them…glad they found a purpose! Weren’t those originally sold as kitchen towel holders? Hey i really loved the style and design. 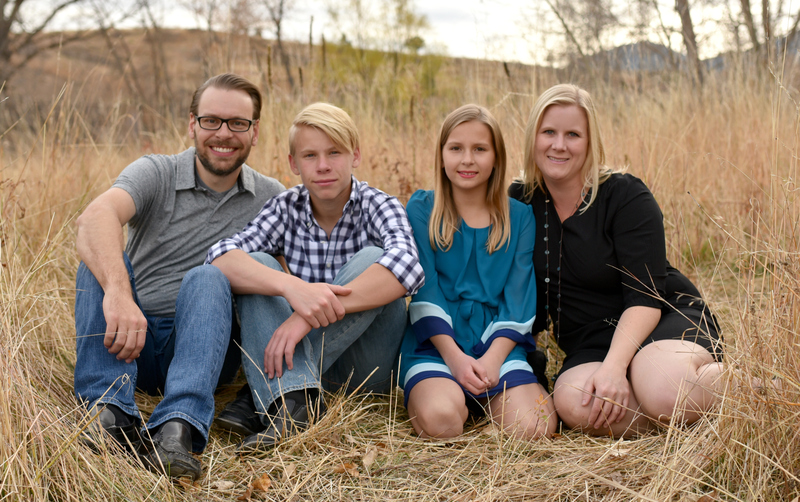 Thought the one thing had been really cool. These animal heads are my favorite. Now they live in the kids’ rooms but I might have to steal them back again.